Cheryl is a strategic and results-focused leadership coach. Her 25 years of business experience, over 2000 coaching hours and enthusiasm for working with people make her an insightful and impactful coach. She has coached hundreds of leaders and teams across industries including technology, retail, manufacturing, accounting, law, education, health care and services. Prior to coaching, Cheryl spent 10 years at Microsoft Canada in roles including strategic initiatives, retail marketing management, research and sales. 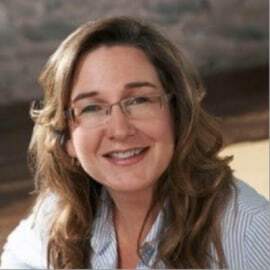 Cheryl designed and led two national change initiatives for Microsoft Canada. Cheryl received her Honours B.A. from the University of Waterloo with a minor in Sociology. She received her marketing training through the Schulich School of Business at York University and research through the Burke Research Institute. She received her coach training through the Coaches Training Institute and subsequently organizational relationship systems coaching through the Centre for Right Relationship. She is pursuing her Master Certified Coach designation through ICF. Cheryl is the past president of the Business Executives Organization, Bay Area Leadership Alumni and was the founder of the Hamilton and Area Coaching Association.